Taken long before 1990, this shows Jimmy Young,blacksmith pictured left is examining a crush/cradle of some sort for turning sheep onto their sides to pare their feet. Hamish Lipp, centre, was a shepherd and bothy balladeer. 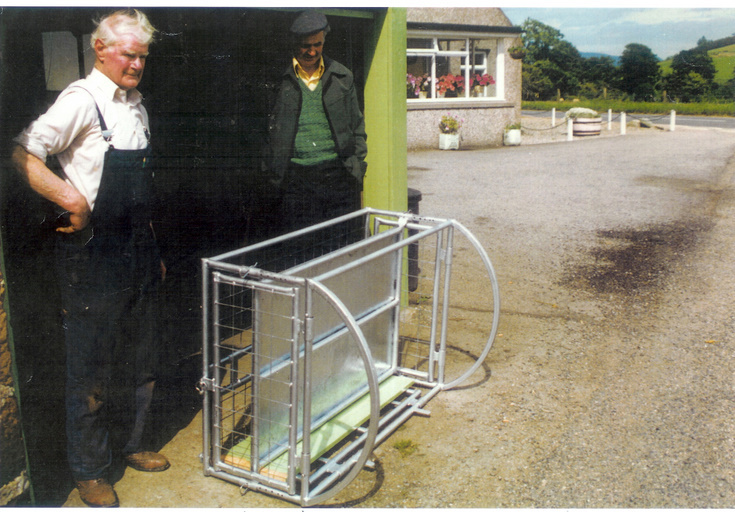 Hamish was most likely working at Asloun Farm at the time which would date the picture to early 1970s. Sadly,Jimmys widow, Norene, passed away recently so any further info would now be difficult as Jimmy and Hamish are long gone.